Today is St. Peter's day - one of the most honored Orthodox feasts in Bulgaria. The rituals observed today aim to protect houses and farmer's land from fire. Traditionally, there is a rooster or chicken on the table. In the orthodox tradition roosters measure time and signify the power of sun. They are accepted as a symbol of fertility and harvest abundance. We are not huge chicken eaters in our home, but this is one of the recipes, which make chicken disappear in minutes. 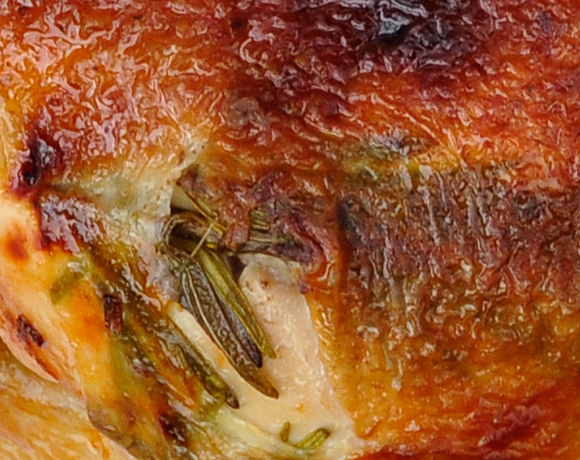 Think about crispy skin which crackles between teeth. Tender succulent meat which fills mouth with heavenly juices. A well roasted chicken does not need anything else. OK, probably the subtle additional flavor of rosemary for instance. Or thyme. According to the Internet, this recipe originated in Zuni cafe in San Francisco. 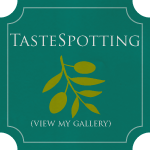 I wish to go there in order to taste the original as soon as I can, but until then I will only use their know-how at home. Pat dry chicken very well after rinsing - the wet skin will make it steam into the oven and this will make the skin soft. Salt chicken a day or two in advance - this will 'lock' the moisture inside and will improve the taste (I never have the patience to obey this requirement and the chicken is also perfect, so you can skip this step). 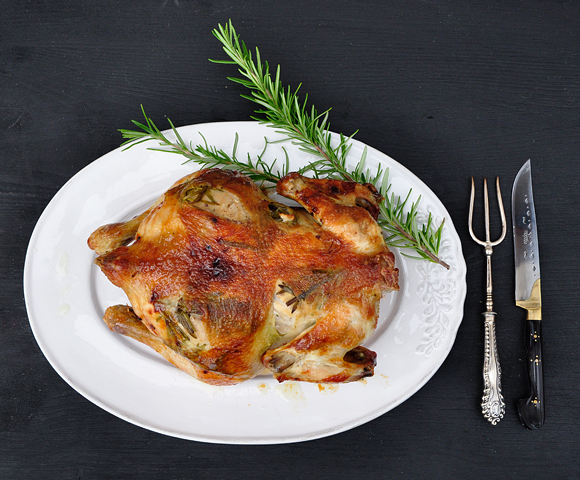 Choose your favorite herb - rosemary, thyme or salvia and slip some sprigs under the skin of the chicken. This will provide it with lots of flavor. 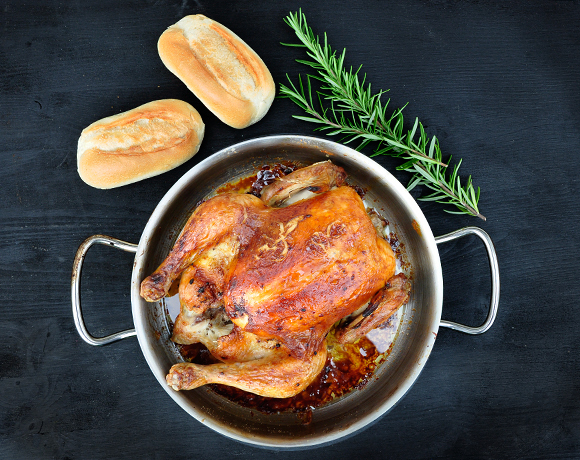 Do not use any oil or butter for roasting the chicken - its own fat will do the things. Preheat the skillet into the oven very good, so to allow the chicken to sizzle when you put it into the skillet. This will prevent the skin from sticking to the pan. Put the chicken breast side up first. Rinse and pat dry the chicken very well. Rub the skin with salt from all sides, put some salt into the cavity. Preheat oven to 250°C (475° F). 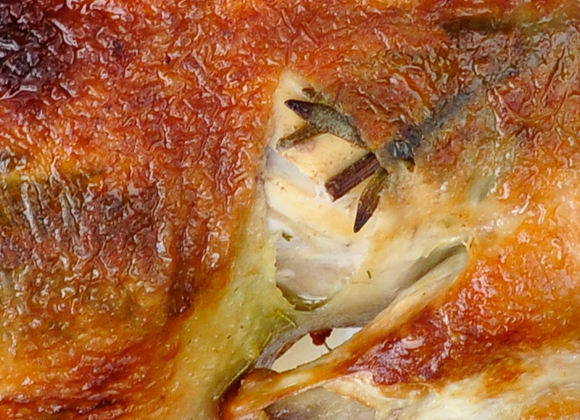 Put an oven-proof roasting pan into the oven and heat it well (at least 15 minutes). The pan shoud be clean and empty - no butter or oil is required. 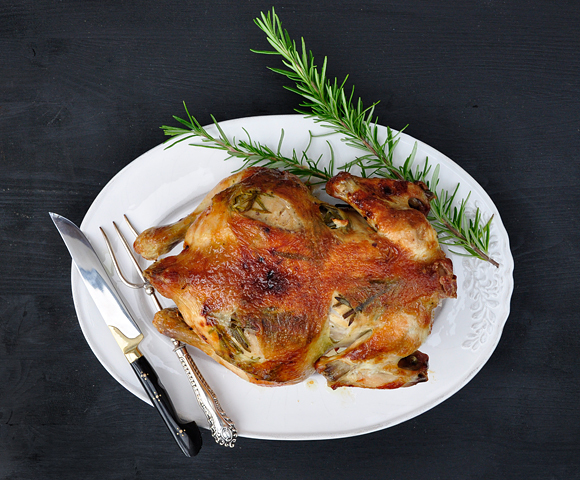 Make two little pockets under the skin of the chicken from the breast side and put two sprigs of rosemary. Flip chicken and put some sprigs of rosemary under the skin below the wings. Put the chicken into the pan breast side up. The bird will sizzle when its skin touches the skillet. Flip the bird after 30 minutes and roast for additional 20 minutes. Turn again one more time for 15 minutes and take out of the oven. Let the chicken rest for 5 minutes before serving - this will help retain the juices and will make it more succulent. Thanks for linking in Meli. We now have a great collection of chicken recipes - now over 70 and still coming in! Everytime I make chicken I do it like this now. It turns out good every time! Hi, we've cooked the chicken this way tonight and it turned out super good. Kudos to the chicken too which was raised organically, but this recipe is a winner!